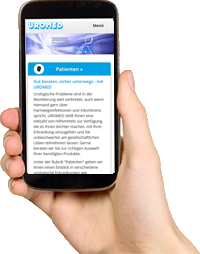 Due to illness or accident, some 120,000 people in Germany suffer from neurological disorders that impair natural bladder emptying or make it completely impossible. Paraplegia is one of the main causes of this, in addition to multiple sclerosis, spina bifida or Parkinson’s disease. Intermittent self-catheterisation (ISC) is easy to learn and can help those affected to regain a large portion of their independence and improve their quality of life. Disposable catheters offer people with bladder emptying problems the opportunity to lead independent lives despite their physical limitations. 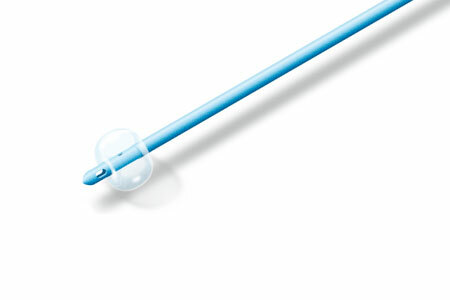 Today, intermittent self-catheterisation is a widespread method for regularly discharging the bladder in a safe and convenient manner, both permanently and temporarily. The ISC allows those affected to regain control of their bladder. If normal urination is no longer possible, you can empty your bladder at regular intervals with a thin, flexible, disposable catheter inserted into the bladder through the urethra. This process should be performed several times a day following the doctor’s recommendation so the bladder does not become over-stretched and unwanted leakage of urine is avoided. After emptying the bladder, remove the catheter. With patients for whom the intermittent self catheterization (ISC) comes in question, a corresponding hygiene training is indispensable to prevent urinary tract infections. In addition to the consultation with the therapist, we support the affected target group with detailed information. 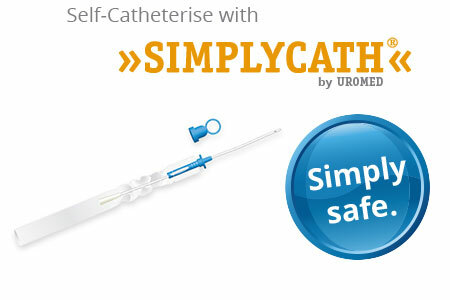 Moreover, the ISC catheter »SIMPLYCATH®« from UROMED is so constructed that a contact is prevented between germ-loaded urethra exit and catheter point. 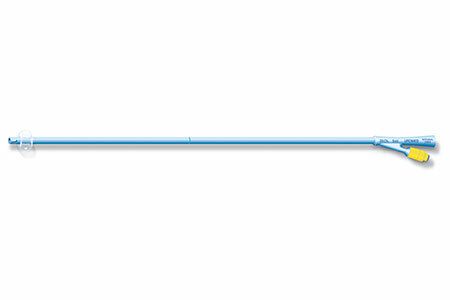 Instead, a leading tip holds the catheter in the right position, and the user can push forward the inside lying catheter point further up to the bladder. This type of catheterisation above the pubic bone through the abdomen is indicated when the urethra has to be bypassed after major surgical interventions in the urogenital area. Compared to urinary diversion through the urethra, suprapubic drainage may significantly reduce the risk of catheter-associated urinary tract infections. Due to its long-term application, the transurethral catheter for permanent use has to meet particularly stringent quality criteria for minimising the risk of infection. Because we specialise in the material “medical silicone”, we avoid the frequent problems associated with latex catheters such as migration and allergic reactions.